$199.99 – $259.99 $449.95 Save 42% Lowest Price Guarantee! Pros: The Easton Ghost bat is hot of the wrapper. This bat reminds me of the -5 2016 zen that has insane pop! (very balance) Easton finally got it right after that bum bat they made, Mako Beast in 2016. Pros: Easton's Dynamic Feel System is the real deal. The feel when you hit this on the sweet spot is incredible. I've never had a more smooth feel on contact than with this Ghost X. The sweet spot is huge. The grip is comfortable (but it gets dirty super fast). I am in love with this bat. Cons: The white color. The price. Pros: This is our sons first BBCOR bat as the league he is playing on required it. So from a -10 to a-3 was a big change. However he won MLB tickets for hitting the most land drives on his team with this bat. Its balance is great from handle to end letting him swing more level. Cons: We have winter games starting in FEB in Colorado and because this is a composite bat we don't want to damage it when it gets below 60 degrees, so we got a much less expensive bat for the winter time. Pros: Been using this bat for a few weeks and everything about it is great. The bat is smooth with great pop great grip. I highly recommend this bat! Pros: Weight and feel. Great right out of the wrapper. Great bat for my size and age. 13, 6 ft 2, 160pds. Pros: Amazing balance and pop from the Ghost X. Multiple brands and models being used on my sons high school team and none have the pop of the Ghost X.
Pros: Right out the box the bat feels pretty good. Great pop and amazing feel to it. Ive had no problems as far as Durability so the bat's been great. Pros: I think I really want the bat right now and I want to buy next baseball season. Cons: For that bat I just reviewed right now is I don't want to much vibration to it. Pros: Amazing bat, right out of the wrapper. Batting avg. climbing fast. 2 triples, and a grand slam, in the first 2 weeks. Balance feels great, and the ball explodes off of the bat. Pros: The anti-vibration mechanism is solid. The look of the bat is sleek, it stands out. Cons: I had to replace my 14 y/o son's Mako -5 after the cap popped. We had been trying to decide which Easton to get for the end of his summer season and going into his freshman year. The GhostX lured us in. However after BP, multiple home tee/soft toss sessions and 7 games we gave up on this bat. I felt like he was playing with a dead bat. We are exchanging it with Easton and hopefully it was just a lemon. I want to write a 5 star review on this bat as I am an Easton fan. Other cons: Top of the line price$$$, white grip?! Pros: The bat had little to no vibration, and can take a little bit of beating. Cons: I got my 32/29 Easton Ghost X bat about a month ago, and being a passionate baseball player i instantly unpackaged it, and set up the hitting net in the garage. Right from the start i knew something was wrong with the bat. At first i though it was Eastons break in period. BUT HUNDREDS of balls, and several games later i realized the bat had no pop and acted dead. I feel like Easton lied to me about this bats pop. Also, not as important but Easton please stop making bats with white grips, they get stained and discolored very quickly. Im getting another Ghost X bat from Easton, and if the bat i had was just a lemon i will write a better review. Pros: Great Contact with excellent pop off the barrel. Ball flies off the bat. Pros: A great bat right out of the wrapper. This bat has the balance we were looking for with plenty of pop. My son loves this bat and others on his team do as well. Pros: The bat is very balanced and hot right out of the box. Going from a -10 to -3, I thought weight would be a problem...not at all. Pros: hits, feels, and looks awesome. great pop even with less than 75 swings. Cons: wish it was a little more balanced. Pros: It has a great pop to it, our boys on our team where hitting and hitting and they were going far. After my son used it we immediately looked for it and Justbats.com had the BEST deal and pricing and QUICK too.. Just in time for labor day tourney! Cons: Nothing all is GOOD!! Pros: It has crazy pop out of the box. Has a great feel when it hits the ball and is super balanced. Pros: Grandson really likes the pop of the new Bat. Pros: My son was very happy with the way the bat performed. He said it was awesome. No Vibrations. Pop was amazing. Very pleased with the bat. Cons: As of now, no cons. Cons: Grips seem to wear out easy..
Pros: Very comfortable bat grip and light even with a length-to-weight ratio of -3. Pros: Very little vibration. Good extended barrel. Feels good in the hand. Swings well. Cons: No pop on the very end. Pros: My 15 year old loves this bat , great pop , no vibration ,big sweet spot ! Pros: Soon said it feels good. Nicely balanced. Long barrel is a plus. Pros: my son loves the sound off the bat and loves the pop even more! real happy with this Easton and the price drop was definitely a no brainer. Cons: every other player on his team now wants to use it. Pros: Hot straight out of the box my son loves this bat. Pros: Pop, no vibration. Son loves it! Loved getting it at the price we got it too! Thanks Just Bats! Cons: I like the white barrel not sure I like the white grip. But it’s not a big deal as I can change it to any color he wants. Pros: Well balanced, great pop. My 15 year old son has been using the bat on his high school team. He really likes the feel and balance. Pros: My son will be a freshman next year and needed a drop 3. He handles this really well. No sting, feels like a large sweet spot to him. Cons: Seemed to take a lot of swings to break the bat in. Pros: Purchased for my son who is a heavy hitter and he loves both bats. Pros: Hotness! Bat takes about 200 to loosen up a bit (early spring temps) but opens up nicely. I'm not a power hitter, so the sound and feel dont really wow me that much, but that's me being a weaker hitter, not the bat. Extremely solid feel on contact, sweet spot is very forgiving and little vibration on bad hits. Once it started loosening up, I shelved my brand new ADV3...sadly. This on just blasts the ball and is built like a tank. Cons: Feels and looks a bit bulky, and swings a little bulky. Ugly white grips. I call mine Cousin Eddie because of its white "shoes". The pop still makes it worth the buy. Love it! Pros: Great bat. Lots of pop. Pros: The whole team uses this bat and loves it! Pops great right out of box! Have a question about the 2018 Easton Ghost X BBCOR Baseball Bat: BB18GX? Ask our team of experts and they will respond within 24 hours. Is this bat okay for USSSA play? This 2018 Easton Ghost X BBCOR Baseball Bat (BB18GX) would be permitted for use in USSSA play due to it being a BBCOR rated bat. BBCOR .50 certification brings the allowable performance below the USSSA 1.15 Performance Rating. As well, BBCOR bats have a 2 5/8" barrel (which is allowed for USSSA play as well). Therefore, this bat will be permitted for USSSA play. What's the difference between the 2017 Mako Beast and the Ghost x BBCOR? The only difference between the 2017 Maco Beast and the 2018 Easton Ghost X BBCOR Baseball Bat (BB18GX) is in the composite material. However, the (BB18GX) will be replacing the Maco Beast. What new Easton will be the best for a power hitter? Power hitters generally prefer end-loaded bats, so I would recommend the 2018 Easton Beast X Loaded (BB18BXL). Is this bat honestly worth the money? Is this bat like the MAKO Beast? This 2018 Easton Ghost X BBCOR Baseball Bat (BB18GX) is a two-piece bat, features an all-composite design and is BBCOR rated. Typically bats that feature those specifications usually run anywhere from $400 - $450 in price. As well, since Easton bats perform really well historically, I think it is justified that Easton lists the bat at this price. This bat will be the 2018 continuation model of the 2017 Easton MAKO BEAST BBCOR bat. How does this bat compare to the Louisville Prime 918? Price is the same, which bat is the best for the money? This 2018 Easton Ghost X BBCOR Baseball Bat (BB18GX) and the Prime 918 BBCOR from Louisville Slugger will both be two-piece, all-composite bats with balanced swing feels to them. Sadly, since neither bat has been released from the manufacturer for an extended period of time, I would not be able to honestly suggest one bat over the other in regard to performance or durability at this time. My son is 5'6+ and about 200+ pounds, I bought him a Z Core Whiteout bat 2 seasons ago. It was a 32," is this still good? Or would he need a 33?" Based on your players height and weight, I would suggest moving up to a 33" 2018 Easton Ghost X BBCOR Baseball Bat: BB18GX. Will the Ghost be available in a end load? Will Easton have a composite 2018 end load bat? We do not carry the Ghost X in an end load model, and I don't believe Easton will make it in that design. The 2018 Easton Beast X Loaded is the end-loaded, alloy model for this year. Both are listed as balanced bats, but which is more end loaded, Ghost X or the Prime 918? It is hard to say whether the 2018 Easton Ghost X BBCOR Baseball Bat: BB18GX or the LS Prime 918 is more balanced than the other. With that said, one will certainly be pleased with the swing weight feel of the 2018 Easton Ghost X BBCOR Baseball Bat: BB18GX. Does this bat come in a 33" drop 11 or drop 10? The 2018 Easton Ghost X BBCOR Baseball Bat: BB18GX features a -3 length to weight ratio. This bat does not come in a 33" -11 or -10, but the 2018 Easton Ghost X -10 Senior League Baseball Bat: SL18GX10 (USSSA approved for travel ball, not Little League) is available in 32" -10. Will this bat come in a size 29"? I have an 11 year old that is moving up from a size 28" Mako. Unfortunately, Easton does not have plans at this time to release the 2018 Easton Ghost X BBCOR Baseball Bat: BB18GX in a 29" model. The 30" size will be the smallest size. I am 4 feet 11 inches tall. What size bat would you recommend in a -3 size? Based on your size, I would recommend a 30" 2018 Easton Ghost X BBCOR Baseball Bat: BB18GX. Struggling to decide between this and the 2017 Beast. Any quick points on the major differences? The only main difference in the 2018 Easton Ghost X BBCOR Baseball Bat: BB18GX and the 2017 Easton Mako Beast BBCOR is that the Ghost X will offer more vibration reduction than the Mako Beast. My son is 13 years old and will need to move to a BBCOR bat next season. He is only 4'8" and 84 lbs and has not hit puberty. Would you recommend this bat for him or something else? This would be a good bat for him to use due to it's balanced and light swing weight, and also that it is available in the shorter lengths. If you look at other bats, you will want a balanced model. You can look under the "Bat Features" section to determine if this is the case for nearly all models on our site. Would you recommend this bat for a power hitter? The 2018 Easton Ghost X BBCOR Baseball Bat: BB18GX has a balanced swing weight and it works well for any type of hitter. If you prefer a balanced bat, then it is a great option for you. Which bat is better the Prime 918 or the 2018 Ghost X? Both bats are very similar. The main differences is the grip tape and the pieces. The 2018 Easton Ghost X BBCOR Baseball Bat (BB18GX) is a two piece where the Prime 918 is a three piece. Mainly, it comes down to player preference. The material is the same, it will have very similar pop and durability. What is the range of the swing weight index on the bat? Does the higher # mean more end loaded? The 2018 Easton Ghost X BBCOR Baseball Bat: BB18GX is a -3 length to weight ratio bat. A lower MOI is suppose to be a bat that is more balanced and one that may allow for better performance. This number (MOI) is not something one would be able to compare from one bat to another as it is not specified by manufacturers. Essentially a higher MOI would mean that bat is not as evenly balanced and thus potentially more end-loaded. Is this bat usa baseball approved for 2018 season? No, the 2018 Easton Ghost X BBCOR Baseball Bat: BB18GX contains the BBCOR stamp and can be used in certain little leagues (typically 13U+), but not all. If you are unsure this bat is legal, reach out to the coach or league director. I am about 5"5' and 105 pounds. Should I get a 31 or 32 inch bat? Based on your height and weight it is suggested that you use a 32" bat. However, the length of bat is largely based on player preference. How does it compare to the MAKO BEAST from last year? The 2018 Easton Ghost X BBCOR Baseball Bat: BB18GX features a different composite material (EXACT Composite) as well as a redesigned connection point. These two new features give the bat about a 0.5 ounce difference in swing weight feel compared to the MAKO BEAST as well as better vibration reduction capabilities from off-centered hits. Which composite BBCOR bat is the most balanced or which one be best for a smaller kid? I would recommend the 2018 Louisville Slugger Prime 918 BBCOR Baseball Bat: WTLBBP918B3 or the 2017 DeMarini CF Zen BBCOR Baseball Bat: DXCBC if you are looking for a balanced composite bat. Is this bat good for a smaller kid? The 2018 Easton Ghost X BBCOR Baseball Bat: BB18GX is typically used by high school level players and up. If that meets your criteria then you will want to select the correct length and weight that is comfortable for your player. I'm 5"4 and 110 pounds. Do I get the 32 in or 33 in? I would suggest a 30 inch or 31 inch bat. Is this bat end weighted or balanced and how does the overall bat compare to the Beast X? The 2018 Easton Ghost X BBCOR Baseball Bat: BB18GX features a balanced swing weight. The Ghost X is a two-piece fully composite bat, while the Beast X is a one-piece fully alloy bat. Performance wise the two bats should be very comparable, but the Ghost X is better at preventing sting and vibration because of the two-piece design and it features a longer barrel because it is made out of composite. Is this bat worth $450? I've done all the research and I don't know if this is worth $450. Typically, we see price increases when new technology is used during bat construction. The 2018 Easton Ghost X BBCOR Baseball Bat: BB18GX features new carbon technology, redesigned connection, and an enlarged sweet spot. This is one of the top bats on the market. I am 5"4" and 110 pounds, do I get a 32" or 33"? Based on your height and weight, we suggest a 30" model of the 2018 Easton Ghost X BBCOR Baseball Bat: BB18GX. If you are comfortable swinging a bigger bat, I would suggest a 32" model, but I would not go with a 33" model at this time. I am 5"5" and 130 pounds, do I buy a 32" or 33"? Based on your height and weight, we would suggest a 31" or 32" model of the 2018 Easton Ghost X BBCOR Baseball Bat: BB18GX. Is this the best bat out of the 2018 Easton bats for a power hitter? The 2018 Easton Ghost X BBCOR Baseball Bat: BB18GX would be a great option for a power hitting player. You say the Ghost is new material, how did they change from the MAKO? How does the 918 composite compare to the Ghost? The 2018 Easton Ghost X BBCOR Baseball Bat: BB18GX features a new Dynamic Feel System Delivers Best-In-Class Feel & Performance, Re-Designed CONNEXION+ Technology Enhances Durability & Is The Standard Of Excellence For Two-Piece Bats, and New Engineering X Advanced Carbon Technology Uses EXACT Composite For Better Vibration Reduction. The 2018 Louisville Slugger Prime 918 BBCOR Baseball Bat: WTLBBP918B3 and the 2018 Easton Ghost X BBCOR Baseball Bat: BB18GX will be very similar bats. I was looking at the 2018 Easton Ghost X BBCOR bat I would like to know what a comparable bat to this that is a bit cheaper? The 2018 Easton Ghost X BBCOR Baseball Bat: BB18GX is the bat that Easton released this year to replace the 2017 Easton MAKO BEAST BBCOR Baseball Bat: BB17MK. The Mako Beast would be the most comparable option to the Ghost X. Which bat between the Easton Ghost X BBCOR and the Combat Maxum BBCOR would be more balanced? Both the 2018 Easton Ghost X BBCOR Baseball Bat: BB18GX and the 2018 COMBAT MAXUM BBCOR Baseball Bat: AB8MX103 will be balanced bats. However, the Maxum might be slightly more balanced. Does this bat meet the USABat requirement, and does it have the USABat endorsement? The 2018 Easton Ghost X BBCOR Baseball Bat: BB18GX will only feature the BBCOR stamp. There will not be any BBCOR models that also feature the USA Baseball stamp. Can this bat be used in both travel and high school ball? Yes, the 2018 Easton Ghost X BBCOR Baseball Bat (BB18GX) is BBCOR certified which makes it legal for both high school baseball and high school level tournaments. Say I were to buy this bat during 2017, and the new stamp rule is not implied until Jan 1st, 2018. Does this bat have the new stamp? Would I be able to use this bat next year? I wouldn't want to spend $450 on a bat that won't be able to be used next year, right? Also, are there any bats that have the new stamp out? The 2018 Easton Ghost X BBCOR Baseball Bat: BB18GX is going to feature the BBCOR stamp. There are no changes coming to the BBCOR certification. There are some leagues requiring a USA Baseball bat in 2018. These bats will range from -5 up to -12. There are some leagues that will allow a BBCOR bat in a USA league but we would recommend contacting a local coach or league official before making a purchase to confirm this. Since this bat has a Composite Barrel is there a break in period? And what is the lowest temperature you feel comfortable using this bat? The break in period for the 2018 Easton Ghost X BBCOR Baseball Bat (BB18GX) would be roughly 150 swings off of a tee or a slow pitch. The preferred temp for these bats is above 55 degrees Fahrenheit. My son is 5"10", weighs 135 and is 14 yrs old. Which size would you recommend? Currently using 31' -3. Based on your player's height and weight we would recommend getting the 2018 Easton Ghost X BBCOR Baseball Bat: BB18GX in a 32 inch model. Is the 2018 Easton Ghost X BBCOR -3 an approved bat for Babe Ruth ages 13-15? Yes, this 2018 Easton Ghost X BBCOR Baseball Bat (BB18GX) will be approved for use in the 13-15 year old division of Babe Ruth Baseball for 2018. My son is 15 years old, and 5'7 225lb. What size bat would he use? I would recommend going with a 33'' 30 oz in the 2018 Easton Ghost X BBCOR Baseball Bat: BB18GX. My son is 15, 5'7, 220 lbs. What size bat would he need? Based on your son's height and weight I would recommend going with a 33'' 30 oz 2018 Easton Ghost X BBCOR Baseball Bat: BB18GX. Is this the bat that replaced the MAKO BEAST? Yes, the 2018 Easton Ghost X BBCOR Baseball (BB18GX) is the replacement of the 2017 Easton MAKO BEAST. They are both two-piece full composite designs with a balanced swing weight. If I"m 5"8-5"9 and about 145 lbs, and have been swinging a 32 in 29 oz bat for about two years, should I get a 33 in 30 oz bat this year? I would only recommend getting the 2018 Easton Ghost X BBCOR Baseball Bat: BB18GX in a 33 inch model if you feel comfortable using the longer and heavier bat. This decision comes down purely to how well you feel the 32 inch model has been working for you (can you cover the plate, is the weight feeling too light, etc). For a 15 yr old, 5'-8 and 170 lbs, what length would you recommend? He currently is using a 32"
Our size chart has your son listed for swinging a 32'' 29 oz in the 2018 Easton Ghost X BBCOR Baseball Bat: BB18GX, but if he is swinging the 32'' well now a 33'' 30 oz would be a good option as well. My son is 12, 5"4', and 125lbs. He is a homerun hitter. This is his last year in LL. He is also going to try out for the middle school team which is grade 6-8. Will he need two different bats? What size would you recommend? I recommend reaching out to your coach and/or league official about bat requirements. For Little League, you will want a USA certified bat. For Middle School, I think you will also want a USA bat but you may be able to use a USSSA bat as well. The BBCOR bat above is typically used for High School and Collegiate players. I would also recommend a 31 inch bat length for your player. My son is 5'9''and weighs 130 lbs. What length bat should he use? Based on your son's height and weight, we would recommend getting the 2018 Easton Ghost X BBCOR Baseball Bat: BB18GX in a 31''. I am 6"3" and 175 pounds. What size bat do you suggest? Based on your height and weight, we suggest a 33" model of the 2018 Easton Ghost X BBCOR Baseball Bat: BB18GX. Can this bat be used for high school baseball? The 2018 Easton Ghost X BBCOR Baseball Bat: BB18GX carries the BBCOR .50 certification mark on the barrel or taper, making it perfectly legal for high school baseball. I'm 5"7' and 148 lbs, which size should I buy? What is the difference between the Beast X Hybrid and this bat? For someone of your height and weight, we would recommend getting the 2018 Easton Ghost X BBCOR Baseball Bat: BB18GX in a 32 inch model. The main difference between this bat and the 2018 Easton Beast X Hybrid BBCOR Baseball Bat: BB18BXH is the swing design and construction. The Beast X Hybrid features an alloy barrel and composite handle with an end-loaded swing weight design while the Ghost X is balanced and fully composite. My grandson is 5'10" and weighs 160 lbs. He used end loaded youth bats and was hitting 300 ft bombs. When moving up to BBCOR bats I went back to balanced bats, Rawlings VELO (31 in). He tells me he is tired of his hits falling short of the fence. With the big weight difference, should I put him back in an end loaded bat and if so which one? Unfortunately BBCOR bats will perform more like wood bats so the reason he is not getting the same type of results would be a combination of a few things (playing on bigger fields more than likely being one and not generating enough bat speed to drive the ball "x" amount of feet). The 2018 Easton Ghost X BBCOR Baseball Bat: BB18GX will have similar performance capabilities to any other BBCOR bat. If you wanted to get an Easton end-loaded BBCOR bat then you should consider the 2018 Easton Beast X Loaded BBCOR Baseball Bat: BB18BXL. I"m a 5"10" 220 lb power hitter. Would this be a good bat? The 2018 Easton Ghost X BBCOR Baseball Bat: BB18GX is a great option for both contact and power hitters alike. It features a two-piece composite design with a balanced swing weight. I'm stuck on if I should swing a balanced or end-loaded bat. I'm about 5"4, 114 pounds and starting high school ball this summer. I hit lead-off for my middle school team, but wouldn"t say I'm power or a contact hitter. Just need some advice. End-loaded bats have a portion of their weight focused towards the end of the barrel and are typically geared more towards power hitters. The 2018 Easton Ghost X BBCOR Baseball Bat: BB18GX features a balanced design and is one of the top all-around BBCOR bats. If you did decide on the 2018 Easton Ghost X BBCOR Baseball Bat: BB18GX, I would recommend a 30" or 31" length. My son is 6" 230 pounds. What bat size do you recommend? He is a power hitter and started on the varsity team as a freshman. He is now 17, and I want to get him a size 34 inch. Based strictly on his height and weight, I would suggest a 33" 2018 Easton Ghost X BBCOR Baseball Bat: BB18GX. However, it sounds like he may be able to handle a 34" BBCOR bat, and that size would certainly be appropriate. What would be the recommended size bat for a kid that is 5'8" and 150 lbs? We would recommend a 32" length for your size. What is the difference between last years Mako Beast and this years Ghost X besides the color? The 2018 Easton Ghost X BBCOR Baseball Bat: BB18GX features a slightly extended barrel when compared to the Easton Mako Beast. The 2018 Easton Ghost X BBCOR Baseball Bat: BB18GX also has an improved connection point and carbon technology to enhance the feel on impact with less vibration than the Mako Beast. My son is 160lbs 5'8 14 yrs old What size bat do you recommend? Based on your sons height and weight we would recommend a 32"/29 ounce 2018 Easton Ghost X BBCOR Baseball Bat: BB18GX. My son is a Freshman, 6'2" 170 lbs. He has a Mako Beast 32/29 and it is showing signs of wear and tear. Is the Ghost dramatically different and should he go to 33/30? Yes, I would recommend the 2018 Easton Ghost X BBCOR Baseball Bat: BB18GX in a 33/30 based off the information you've provided. The new Ghost X features a slightly extended barrel when compared to the Easton Mako Beast. The 2018 Easton Ghost X BBCOR Baseball Bat: BB18GX also has an improved connection point and carbon technology to enhance the feel on impact with less vibration than the Mako Beast. I am a 5"10 freshman who weighs 140 lbs. I currently swing a 32" Velo. Should I get this bat in 32" or 33"? Based on your height and weight, I would recommend getting the 2018 Easton Ghost X BBCOR Baseball Bat (BB18GX) in a 32"/29 oz size. My son is 5'3" tall and weighs 145 lbs. What size bat would you recommend for him? Thanks. We would recommend a 31" length of size for someone around his height and weight. My son is 5'5" and 138 lbs. What size do you recommend? We would recommend a 31" length for his height and weight. This is my son's first year using a BBCOR bat. He is 5'3" and weighs 153 lbs. What size and bat do you recommend? Based on your player's height and weight, I would suggest a 31" 2018 Easton Ghost X BBCOR Baseball Bat: BB18GX. This is one of the more popular, higher rated composite BBCOR bats, and a great option for a player new to BBCOR bats. I am 5'10 and 185 pounds, what size do you recommend? Based off the information you've provided, I would recommend the 2018 Easton Ghost X BBCOR Baseball Bat: BB18GX in a 33 inch length. Is this bat legal for Pony Baseball age 14U? From our understanding BBCOR models are allowed for play in Pony baseball, so this would be legal. I would double check with your coach or league commissioner beforehand just to be sure. My son is 13 years old, is 5'8" tall and 150 lbs. What size of bat would you recommend? We would probably recommend a 32" length for his height and weight. I am 5'2" - 5'3" and weigh 90-100 pounds. What size should I get? Based on your current height and weight, we would recommend getting the 2018 Easton Ghost X BBCOR Baseball Bat: BB18GX in a 29 inch model. My son is 14, 5'6", and 140 lbs. What length should I get? We would probably recommend a 32" length for your height and weight. I"m 5"6" tall and 125 lbs. What size bat should I get? We would probably recommend a 31" or 32" length for your height and weight. My son is 12 years old, 5'1'' and 105 lbs. He's playing 13u. What size bat would you recommend? Based on your player's height and weight, I think he would currently be most comfortable swinging a 29" BBCOR bat (-3). If you wanted to purchase a bat that leaves your player with room to grow, you could get this 2018 Easton Ghost X BBCOR Baseball Bat (BB18GX) in a 30"/27 oz but it might be a little long and heavy this season. How many days after I place my order will it arrive? That would depend on the shipping option that you choose. We have Next Day Air, 2 Day Air, 3 Day Select, and Free Standard Ground. They all operate on business days, and the Free Standard Ground is guaranteed within 5 business days, but typically takes 3-4 to most locations. Will this bat stand up to college play? My son tends to beat up his bats pretty good. Yes, this bat is designed for high school and college play. My son is 14 years old, 6'5" and 155 lbs. What size bat would you recommend? Based on your player's height at 6 feet 5 inches and weight at 155 pounds, our general recommendation would be to get this 2018 Easton Ghost X BBCOR Baseball Bat (BB18GX) in the 33" length. As long as he can handle the 30 oz weight of the 33" bat, he should be fine using that size. The 2018 Easton Ghost X BBCOR Baseball Bat (BB18GX) has a balanced swing weight. I am 15 years old, 5'4'' and 120 lbs. What size bat should I use? Based on your height and weight, we would recommend getting the 2018 Easton Ghost X BBCOR Baseball Bat: BB18GX in a 30''. Does this require a break-in period? I would recommend that the 2018 Easton Ghost X BBCOR Baseball Bat: BB18GX is hit 150-200 times, turning the barrel a quarter turn every 10-15 hits, in order to fully break-in the composite barrel for optimal performance. I am 14 years old, 5'7" and 130 lbs. What bat size would you recommend? With those specifications, we would suggest a 31" length bat. We have limited stock available in the 2018 Easton Ghost X BBCOR Baseball Bat: BB18GX 31" option. How does the pop and balance compare to the Rawlings Quatro and DeMarini Voodoo? The pop will be essentially the same on all three bats since the BBCOR certification comes with a .50 BPF restriction. As for balance, I think all three should be very similar as well, and it mostly comes down to personal preference. Personally I like the DeMarini Voodoo, since I prefer aluminum barrel models for a BBCOR bat. What bat do you think is better for a contact hitter, the Marucci Cat 8 or the Easton Ghost X? I would recommend going with the 2018 Easton Ghost X BBCOR Baseball Bat: BB18GX because of Low MOI with Low Swing Weight Index the 2018 Easton Ghost X BBCOR Baseball Bat: BB18GX would be a great choice for a contact hitter. I'm 5'7" 170 lbs, what size bat would you recommend? Based on your height and weight, I would suggest a 32" 2018 Easton Ghost X BBCOR Baseball Bat: BB18GX. I'm a 5' 150 lb 12 year old and plan to use this bat for the next 3 years. What size would you recommend? I would recommend using the 32'' 29 oz in the 2018 Easton Ghost X BBCOR Baseball Bat: BB18GX for a BBCOR model for the next 3 years. My son is 5'7" and 110-115 lbs, which size bat do you recommend? Also, is there a brand of bat that is head over hills better performing than another bat? Per your son's height and weight, we would recommend getting the 2018 Easton Ghost X BBCOR Baseball Bat: BB18GX in a 31 inch model. As for brand, Easton makes just as good a BBCOR bat as others. What bat is better for BBCOR, aluminum or composite? With regards to BBCOR, going with either alloy or composite will not change the performance capabilities. The 2018 Easton Ghost X BBCOR Baseball Bat: BB18GX is a two-piece composite bat and will perform very similar to that of the Easton Beast X BBCOR model which has the alloy barrel. My son 5'10" and 115 lbs. What size should he use? Based on his height and weight, I would recommend getting the 2018 Easton Ghost X BBCOR Baseball Bat: BB18GX in a 31''. I am 14 years old. I'm 5'11" 120 lbs. What length should I be using? Based upon your height and weight I would recommend using a 31'' 28 oz 2018 Easton Ghost X BBCOR Baseball Bat: BB18GX. How does this bat compare to the Louisville Slugger Prime 918 BBCOR? The 2018 Easton Ghost X BBCOR Baseball Bat: BB18GX will have a slightly stiffer feel on impact due to its traditional 2 piece design as opposed to the advanced connection piece on the three piece 2018 Louisville Slugger Prime 918 BBCOR Baseball Bat: WTLBBP918B3, but would offer similar swing weight and performance with both being multi piece, fully composite bats. I'm 13 years old and new to BBCOR bats. I am 5'6" and around 120 lbs. What length would you recommend? Given your specifications, I would recommend a 31" option of the 2018 Easton Ghost X BBCOR Baseball Bat: BB18GX. I am 14 years old and 200 pounds. What size of bat should I use? For most 14 year old players, we usually recommend a 32" BBCOR bat. However, if you feel that you are a bigger 14 year old, it might be worth looking into the larger 33" length version of this 2018 Easton Ghost X BBCOR Baseball Bat (BB18GX). My son will be 17 next season, over 6'3 and about 185. What size Ghost bat would you recommend for him? With the size specifications you listed, we would recommend the 2018 Easton Ghost X BBCOR Baseball Bat: BB18GX in a 34 inch option. Which bat has the larger sweet spot and barrel, the Easton ghost or the COMBAT Maxum? The Combat Maxum has the largest barrel on the current market, but the 2018 Easton Ghost X BBCOR Baseball Bat: BB18GX has an extremely large sweet spot, itself. My son is 80 pounds and is 5'0, should he get the 30''? I would recommend going with the 30'' in the 2018 Easton Ghost X BBCOR Baseball Bat: BB18GX if he is needing to swing a BBCOR model. I'm 5'6" and 132 pounds, going into my freshman year, what size should I get? Per your height and weight, we would recommend getting the 2018 Easton Ghost X BBCOR Baseball Bat: BB18GX in a 31 inch model. Is the bat a USSSA bat or USA bat? Technically, neither. The 2018 Easton Ghost X BBCOR Baseball Bat: BB18GX is a (-3) model which is governed by BBCOR. Though most USSSA and USA leagues will allow BBCOR bats to be used. When would the 2019 version of the Ghost be released? Any idea if color change in bat or grip? Easton's 2019 version of the 2018 Easton Ghost X BBCOR Baseball Bat: BB18GX will be the Project3. This bat will be black with red accents. This bat will be a completely new model compared to how the Ghost X was constructed. My little nephew is 12, but going to turn 13 and be in 7th grade next Little League season. He will be moving into the juniors division (division before high school) so he needs to start swinging a BBCOR. What bat and size would you recommend? Price is not an issue. Currently, the 2018 Easton Ghost X BBCOR Baseball Bat: BB18GX is our most popular and one of the highest rated bats on our site. If you're interested in the 2018 Easton Ghost X BBCOR Baseball Bat: BB18GX, it would be hard to suggest that another bat would be better. Based on his age, I would suggest a 32" 29 ounce 2018 Easton Ghost X BBCOR Baseball Bat: BB18GX. I'm 13, 5'5'' and 100 lbs. Would you recommend this bat for a contact hitter and if so, what size should I get? Yes, the 2018 Easton Ghost X BBCOR Baseball Bat: BB18GX would be a good fit for a contact hitter as it is a two-piece balanced bat. Based on your height and weight, a 30''. My son is turning 13 in a month, he is 5’11" and 130 lbs. Should I go with 32” or 33”? Per your son's height, weight and age we would recommend getting the 2018 Easton Ghost X BBCOR Baseball Bat: BB18GX in a 31 inch model. If you feel he can bump up to a 32 inch then there is certainly nothing wrong with doing that. What is the recommended way for breaking in a bat of this type? We recommend that you hit 150-200 baseballs, rotating the barrel every 10-15, with the 2018 Easton Ghost X BBCOR Baseball Bat: BB18GX to fully break-in the composite materials. What is the break in period for this bat and is there a right way to break this bat in? The best way to break in the 2018 Easton Ghost X BBCOR Baseball Bat: BB18GX is to begin by hitting off a tee or soft toss in a cage. After about 150-200 swings doing this, the bat should be well broken in. What do you recommend I am 5'2" 100 pound? Which drop 3 do you recommend for somebody that needs to have it for long period of time? Based upon your height and weight I would recommend a 30'' 27 oz in the 2018 Easton Ghost X BBCOR Baseball Bat: BB18GX. Which bat is better, the 2018 Ghost X BBCOR or the 2018 combat Maxum BBCOR? It would be hard to say one of these bats is better than the other. When deciding between these two, it would just come down to your preference in terms of stiffness on contact. If you're a stronger player with great bat speed and who doesn't mind some vibration on off center hits, the stiff one piece construction of the 2018 COMBAT MAXUM BBCOR Baseball Bat: AB8MX103 might be the better option for you. If you prefer the whipping action of a two piece bat that can offer a little more barrel speed and a reduction in vibration, the 2018 Easton Ghost X BBCOR Baseball Bat: BB18GX might be the better option. I am 6 foot 145. 32 inch or 33 inch? I'm also in high school and need a -3. Based on your height and weight, I would suggest a 33" 2018 Easton Ghost X BBCOR Baseball Bat: BB18GX. Looking to maybe get a Ghost X for my freshman that is 5’7” 175 lbs. What size would you recommend? Given your player's specifications, I would recommend a 32" model of the 2018 Easton Ghost X BBCOR Baseball Bat (BB18GX). My son is 12, 5’7” and 111lbs. He plays 13U and I’m hoping to get him a bat he can keep 2 years. What size bat do you recommend? I would recommend going with a 31'' 28 oz in the 2018 Easton Ghost X BBCOR Baseball Bat: BB18GX. Does this bat come in black or any other colors, or is it only available in white/gold? The 2018 Easton Ghost X BBCOR Baseball Bat: BB18GX is only available in this white and gold colorway. The 2018 Easton Ghost X BBCOR Baseball Bat: BB18GX would be a great option for high school. I have heard of this bat cracking in the knob and sweet spot. Will it hold up for a couple of years? How durable is this bat? It is hard for me to make any guarantees or projections on the durability of a bat. That being said, this 2018 Easton Ghost X BBCOR Baseball Bat (BB18GX) has actually received decent durability reviews on our site. That being said, no bat is indestructible and there will always be some situations that arise where a bat breaks. That being said, this bat does have a 12 month warranty and if the bat breaks down within 12 months of the purchase date, you are covered by the Easton warranty to get a replacement. Is this bat legal for High School baseball? The 2018 Easton Ghost X BBCOR Baseball Bat: BB18GX will be legal for high school baseball. Is this bat available in -8 or -5? Easton does make a bat like the 2018 Easton Ghost X BBCOR Baseball Bat: BB18GX in smaller sizes such as -5 or -8 length to weight ratio. Here are some of those bats: 2018 Easton Ghost X -5 Senior League Baseball Bat: SL18GX58, 2018 Easton Ghost X -5 USA Baseball Bat: YBB18GX5, 2018 Easton Ghost X -8 Senior League Baseball Bat: SL18GX8 and 2018 Easton Ghost X -8 USA Baseball Bat: YBB18GX8. Does the Ghost X BBCOR or the new ADV swing lighter? The 2018 Easton Ghost X BBCOR Baseball Bat: BB18GX will have a balanced swing weight. The 2019 Easton Project 3 ADV BBCOR has a pro balanced feel which will give it a heavier swing weight than the Ghost X. What is the difference between the Easton Ghost X compared to the 2019 DeMarini Voodoo balanced? The difference between the DeMarini Voodoo and the 2018 Easton Ghost X BBCOR Baseball Bat: BB18GX will be the two bat constructions. The Ghost is a multi-piece fully composite model while the Voodoo is a hybrid bat with an alloy barrel and composite handle. The performance will be similar, but the Ghost will be more comfortable on contact as a result. So the biggest con I've seen so far is durability. If it dents, does Easton only replace it once, or does that 12 month warranty cover multiple replacements? For any issue with durability, Easton will replace the 2018 Easton Ghost X BBCOR Baseball Bat: BB18GX one-time within the first year of the bat. I had heard that there is a 2019 model to replace this 2018 Ghost model that is called something else. Can you confirm this information? The new two-piece composite model from Easton that has replaced the 2018 Easton Ghost X BBCOR Baseball Bat: BB18GX is the 2019 Easton Project 3 ADV BBCOR Baseball Bat: BB19ADV. Yes, the 2018 Easton Ghost X BBCOR Baseball Bat: BB18GX is a -3. There will be a full twelve month manufacturer's warranty on the 2018 Easton Ghost X BBCOR Baseball Bat: BB18GX. We love love the bat, it's my son's first BBCOR. He is on the smaller/lighter side. Contact hitter not power hitter. Hey Dustin. If you were trying to leave a review for this bat, you can do so by visiting the bat page and scrolling down to the "Reviews" Section. In that section, you'll find the "Post a Review" box. Click on that box to leave a review! Yes, the Easton Ghost X BBCOR Baseball Bat: BB18GX will be a BBCOR -3 model, legal for high school and collegiate play. The Easton Ghost X BBCOR Baseball Bat: BB18GX will be a drop 3 BBCOR model, which will be legal for high school and collegiate play. Can this bat be used in the colder weather? At around 55 degrees, a baseball becomes denser and has the ability to damage the barrel walls of any bat. If a player is participating in a practice that is being held in conditions with a temperature below 55 degrees, we would recommend using an older model bat that will no longer be used for games. If a game is being held in conditions below 55 degrees we would recommend taking BP up with a non-game model bat and then only using this 2018 Easton Ghost X BBCOR Baseball Bat (BB18GX) in the actual game. Currently bat shopping and wondering which would be better, this or the Marruci Cat 8? That would mostly come down to personal preference. The Easton Ghost X is a two-piece, composite design that should offer a bit better vibration dampening and flex/control during the swing due to its two-piece design. The Marucci Cat 8 is a one-piece, alloy model that provides a stiffer feel for better feedback, but won't reduce vibration quite as much. In terms of pop and performance, both models do very well. What is the difference between the Easton ADV Bbcor 2019 and the Easton Ghost Bbcor 2018? The Easton Project 3 ADV uses Easton's new Launch Comp technology and has a stiffer design and handle for better feedback and feel. Would this bat be too heavy for someone 5' 7" who weighs about 145 lbs and is a power hitter? He currently is hitting the fence with a 30" -5 2018 CF Zen. I would not expect the Easton Ghost X BBCOR Baseball Bat: BB18GX to be heavy for a player of that size in a 31'' 28 oz. If he is hitting well with a 30'' 25 oz I would imagine the added 3 oz will not be an issue for adjusting. How is the pop right after buying it? Since this Easton Ghost X BBCOR Baseball Bat (BB18GX) features composite material, I would still recommend allowing for a few days of use before expecting the highest performance possible. However, I think after those first few days, the performance should be pretty excellent. What is the Easton Ghost's handle made of? The Easton Ghost X BBCOR Baseball Bat (BB18GX) is a two-piece, fully composite bat. Both the barrel and the handle will be made of composite material. 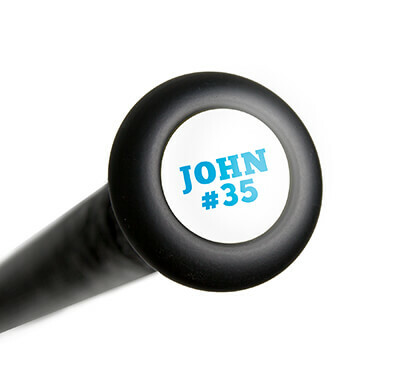 Can you use this bat in Top Gun baseball? I was not able to find the specific bat requirements for Top Gun Baseball on their website, but they appear to be a travel baseball league, so they most likely use USSSA regulations. Regardless, if your player is in the 14-15 year age range, I would expect them to allow BBCOR models such as this one. I would contact your coach or a Top Gun official just to clarify the rules for their league however. Assuming the Easton Ghost X BBCOR Baseball Bat: BB18GX has not been used to hit a baseball, we can always take it back. However, once the bat has been used we sadly, can no longer take the bat back in a return. Is this approved for high school play? The Easton Ghost X BBCOR Baseball Bat: BB18GX will be approved for high school play. The BBCOR certification will allow for play in high school baseball. How does this compare to the Combat Maxum? Mainly swing weight, is this more handle weighted like Maxum? The 2018 Easton Ghost X BBCOR Baseball Bat: BB18GX will be slightly more balanced than the Combat Maxum and will have a light swing weight. Can this bat be used in cold conditions? When the temperature sinks below 55 degrees, the ball becomes denser and has the ability to damage the barrel walls of any bat. If a player is participating in a practice that is being held in conditions with a temperature below 55 degrees, we would recommend using an older model bat that will no longer be used for games. If a game is being held in conditions below 55 degrees we would recommend taking BP with a non game bat and then only using the Easton Ghost X BBCOR Baseball Bat [BB18GX] in the actual game. I’m bat shopping and can’t decide whether to get the Easton Ghost X or the Marucci Cat 8. What would be your suggestion? I’m a power/contact hitter. As you may have noticed, both models have gotten excellent reviews from our customers, so I don't think you can go wrong with either selection. Both are balanced models. The Marucci Cat 8 is a one-piece bat so will offer a stiffer feeling swing, while the Easton Ghost X is a two-piece design so it will flex a bit more during the swing. The Easton Ghost X BBCOR Baseball Bat: BB18GX will have an approximate -3 length to weight ratio. Is it legal for Junior league use? 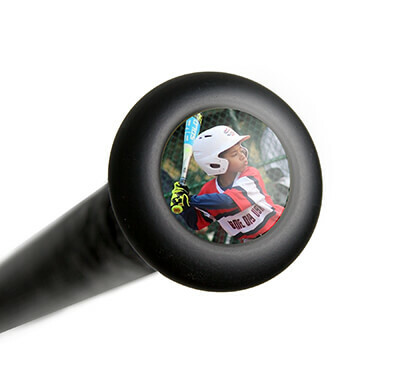 The Little League Junior division requires a USA Baseball or BBCOR approved baseball bat. The Easton Ghost X BBCOR Baseball Bat (BB18GX) features the "BBCOR .50" stamp on the barrel of the bat. Can you use this bat when it is like 58°-62°? Yes, we just don't recommend using the 2018 Easton Ghost X BBCOR Baseball Bat: BB18GX or composite bats below 55 degrees. The Easton Ghost X BBCOR Baseball Bat: BB18GX will feature a -3 length-to-weight ratio. What's the drop on this bat? I need a drop 9. The Easton Ghost X BBCOR Baseball Bat: BB18GX will feature a -3 length-to-weight ratio. Unfortunately Easton does not make a drop 9. Can I have my grandson's name put on the bat? We do offer custom bat knobs that you can add to the end of the knob on the 2018 Easton Ghost X BBCOR Baseball Bat: BB18GX. 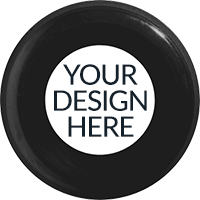 You would be able to put his name on the custom knob. This is done on the product page and can be found below the sizes on the right hand side of the screen. Is this bat okay to use for 2019 15U meeting the BBCOR .50 requirements? Yes, the 15U age group does require the use of BBCOR certified bats, which includes the Easton Ghost X BBCOR Baseball Bat: BB18GX. Name brand product with the best prices found anywhere online and local!!! Super fast shipping! Have never had any issues what so ever!